I love the word automatic, for all the things it represents. I love the ease and convenience and the reduced amount of work on my part. I love pressing a button or flicking a switch or stepping forward and technology performing at my command. We have automatic cars, automatic doors, automatic lights, automatic heating and cooling. We can all testify to the sincere delight automatic gadgets have brought into our lives. Everything seems to be automatic these days. So why not smart automatic blinds? That was exactly our attitude here at Australian Outdoor Living when we started to do all we could to bring automatic blinds to Australia. Why We Love Automatic Blinds. Notice how they’re the first two words that came to mind in my intro above? But that’s exactly what automatic blinds are all about! No more tugging or pulling or twisting or cranking. One little press of a button and up to five blinds will do as you bid. We take this matter seriously, because some people out there just don’t have the dexterity or mobility to operate mechanisms as easily as others. 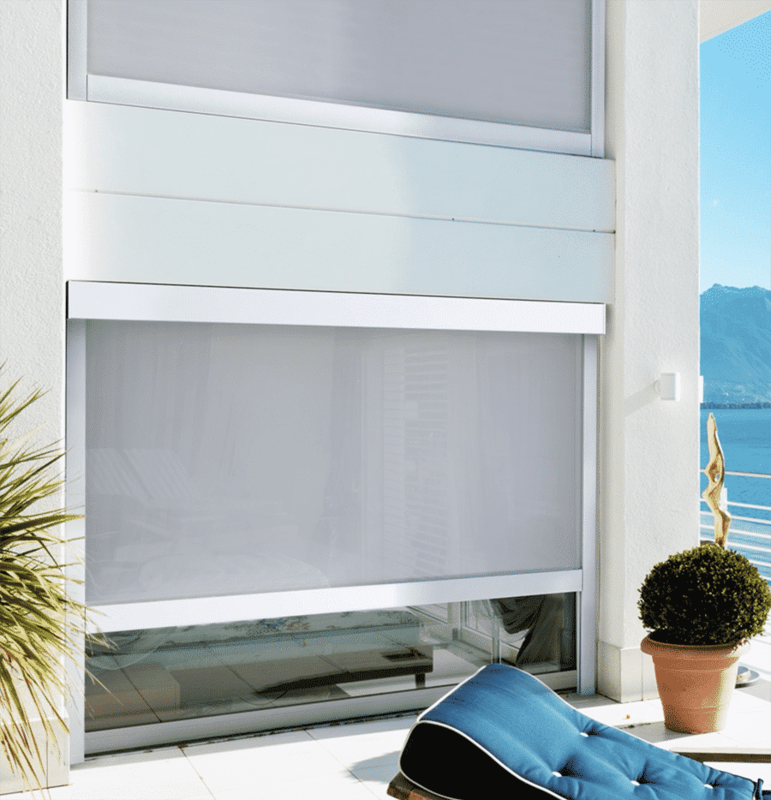 Automatic blinds – motion blinds – are for all to use. Automatic blinds are elegant in appearance. We love our classic blind series too, don’t get us wrong. We’ve worked on the technology there until it’s reached perfection. But our automatic blinds take it up a notch. For five years, we’ve worked searched far and wide for an automated, track blinds system we’re proud to brand as our own. The design comes straight from Italy. I think that says it all, but if you want to learn more, know that Italy is a centre for invention and innovation. This is the country that gave us spas and radios, pianos and expresso machines. So you know we’re onto something when our design comes straight from that little boot-shaped country. And these blinds really are innovative. They stay taut no matter what. They’re built on a spring-loaded track system that’s tough but looks good. And because you have no need to touch them or abuse them in any way (we know you don’t mean to! ), they’re much more likely to last longer. Imagine it, bringing all your family and friends over for a barbecue. It’s the middle of the day and it’s a scorcher. 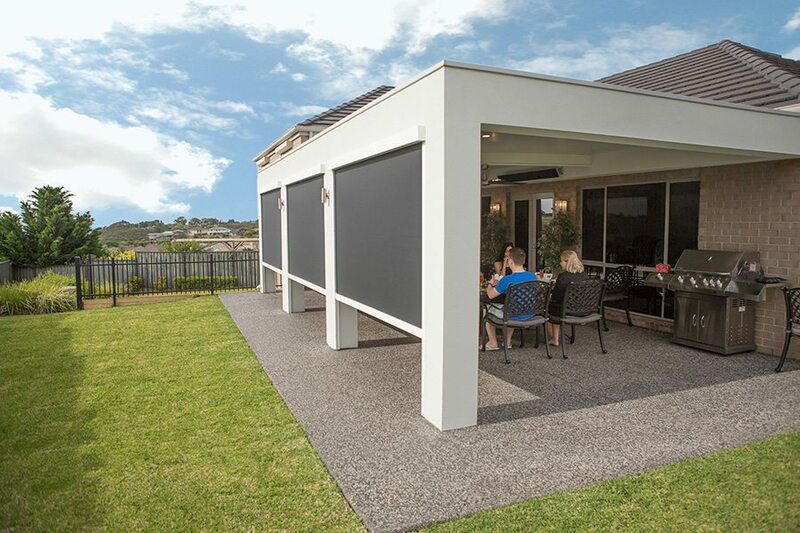 So before they arrive, as you’re amidst the hustle and bustle of preparing a feast, you press your remote to lower the blinds and cool your outdoor space down. They arrive and head outside, which is shaded, but still offers a breath of fresh air. But you’re a real entertainer and everyone is having a good time, so they stay late. The sun starts to set and the temperature drop. It looks like it will be a great sunset, so you press the remote and your blinds all start to rise in one go to reveal a golden sky. And if that doesn’t impress your guests, I don’t know what will. Maybe your fantastic cooking? Automatic blinds can increase the value of your home. All those benefits above are going to appeal to others as much as yourself. That means that once you put your home on the market, people will be as impressed with your outdoor layout as you are. They’ll see the automatic blinds and think of the convenience, the attractiveness, the efficiency. You may have been motivated to buy them for your own use, but all those attending benefits might just motivate others to buy your home! Are you in love too? 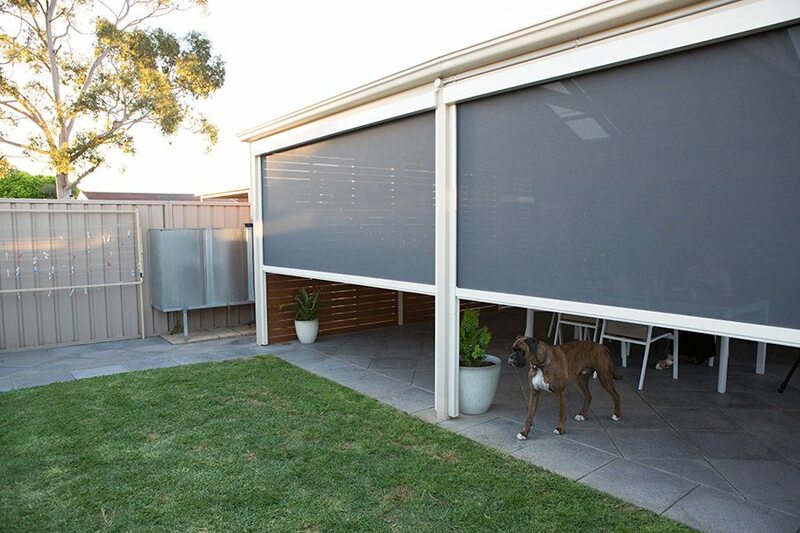 Check out our motion blinds series with our Bella Vista shade blinds and Bella Opaque blinds today. Have you been thinking about renovating your home? Fill out the free measure and quote form at the top of this article and a member of our dedicated sales team will be in touch. Staff at Australian Outdoor Living offices around the country banded together this week to participate in Clean Up Australia Day….